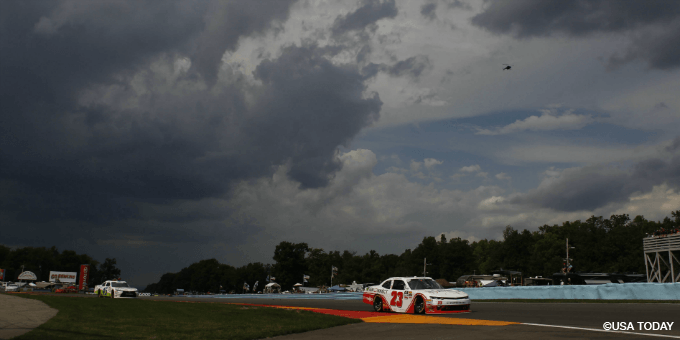 Watkins Glen International Speedway has joined properties in the four major North American professional sports and those leagues themselves in acquiring a gambling interest as a sponsor partner. On Feb. 1, the road course in the Southern Tier of New York announced that Tioga Downs Casino Resort, which is located in Nichols, N.Y., had entered into what was described as a ‘multi-year’ partnership. WGI joins teams such as the National Football League’s Dallas Cowboys and and National Hockey League’s New Jersey Devils and Ottawa Senators in adding official gaming partners. What Does Tioga Downs Get From Deal? "All of us at Watkins Glen International are thrilled with this announcement of Tioga Downs Casino Resort as our ‘Official Casino’," WGI President Michael Printup said. "For us, the ability to work with another one of the true drivers in terms of regional tourism and economic development, it checks off all of the boxes that you want to see in a partnership. We are excited to grow this into something very meaningful for both sides, and for the Southern Tier at-large." WGI has hosted NASCAR, IndyCar, sports cars and Formula One races throughout its storied history. The Monster Energy NASCAR Cup Series (Aug. 1-4) and IMSA (June 21-23) are currently its highest-profile professional circuits. The track will host a 50th-anniversary Woodstock concert Aug. 16-18. Racing’s foray into gambling sponsorships has been slow and sparse even as the spread of legal sports betting could open revenue streams in a sport more beholden to most for sponsorships. Westgate Resorts, which also includes a casino property in Las Vegas, sponsored a 2018 NASCAR truck series race at Las Vegas Motor Speedway under the auspices of its timeshare company. "We are excited to partner with a great group like Watkins Glen International for the benefit of all those inside and outside of the region,” Tioga Downs owner Jeff Gural said in a release. “When I first announced our intent to apply for a casino license here at Tioga Downs, one of the overarching themes was to partner with local organizations for the collective benefit of the area and its residents. We feel that this partnership with Watkins Glen International is representative of that commitment and both groups will collectively work to bring increased tourism to the region."